Four players of Chelsea FC, as well as many other celebrities, attended to the opening ceremony. 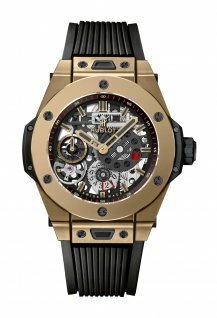 On this occasion, Hublot also announced the extension of its partnership with the football club of London for another three years. 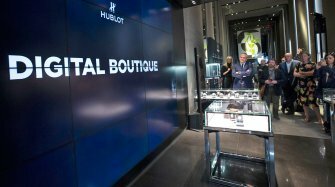 On September 17th, Hublot opened its first directly operated London flagship boutique on New Bond Street, one of the most prestigious luxury shopping destinations in the world. 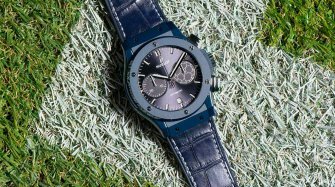 The moment also marked the extension of the brand partnership with Chelsea FC for another three years – firmly establishing Hublot as the watch brand who loves football! 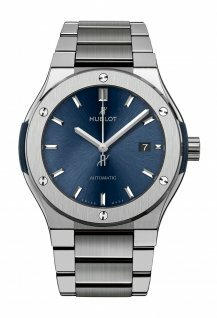 As a modern day innovator in the world of Swiss luxury timepieces, Hublot hosted an Art of Fusion themed celebration inspired by London. 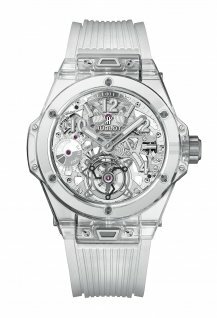 The ribbon cutting ceremony was hosted by Hublot CEO Ricardo Guadalupe together with Chelsea FC players - David Luiz, Olivier Giroud, Ross Barkley and Marcos Alonso - who presented him with their official jersey, with the number 92 on the back, a reference to the London Flagship boutique being the 92nd opening for the brand. 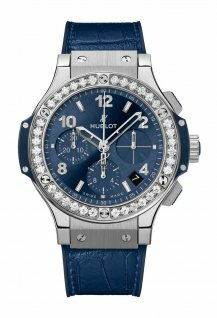 Chelsea FC also presented an illustrated map that marks the route from Chelsea FC’s, Stamford Bridge stadium to the Hublot Flagship boutique in Bond Street, signed on the evening by the players. 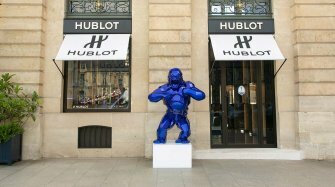 “After successful boutiques openings in New York, Geneva & Paris, we are delighted to be offering Hublot fans a mono brand boutique in the heart of New Bond Street. 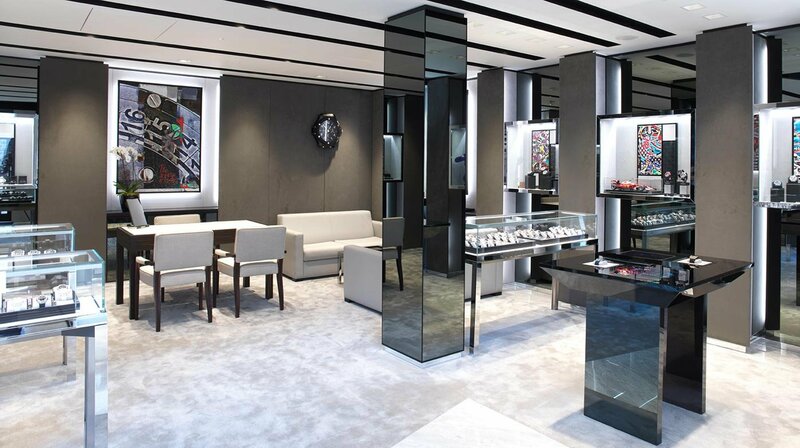 The brand has been represented in London for decades but this marks our first own-name boutique in the city confirms the importance of this market, while providing a springboard for all our UK activities. 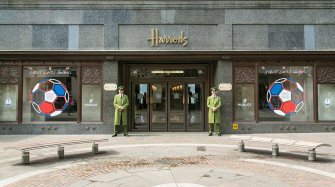 Our retail network currently comprises of 92 boutiques, strategic located within the world’s most prestigious shopping areas. 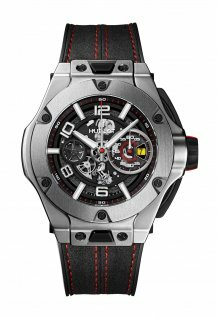 Together, they are testament to the success of our brand and enable our customers to enjoy a full-immersion Hublot experience”, said Ricardo Guadalupe, CEO of Hublot. 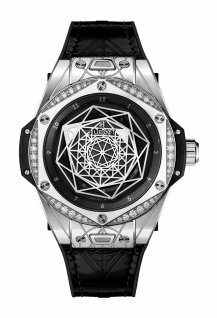 The sleek 1,078 square feet (100 sqm) boutique features innovative retail technology and ‘Pop-Art’ paintings portraying the iconic watches of the Big Bang collection. Following the boutique opening the celebrity guests including Lara Stone, Dina Asher-Smith, Amy Jackson, Nick Compton, Jack Lowden and Oliver Proudlock gathered at Beck in Brown’s Hotel to continue the celebrations with a champagne reception and dinner by Heros de Agostinis, Executive Chef at Beck’s, who served a menu of classic Italian dishes, with seasonal British ingredients.